Brisbane-based AREIT Cromwell Property Group has reported profit from operations of $88.8 million for the six months to 31 December 2015. This was a 22% increase on the corresponding prior period and equates to a profit from operations of 5.1 cents per security. Cromwell CEO Paul Weightman said performance in the first half was strong and reflected the growing funds management business and a continued focus on strategic initiatives to actively manage the core portfolio through the property cycle. “This half reflects the first full six months contribution from our European funds management business,” he said. “We have also taken the opportunity to realise value and benefit from the strong investor demand for well leased assets where it makes sense to do so. We prefer to ‘bank’ these opportunities when they present themselves and then look to recycle capital into higher value adding initiatives”. 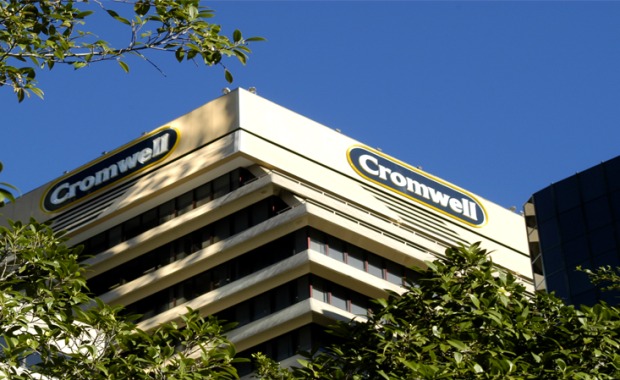 Cromwell was active in the market during 1H16, acquiring and selling a number of assets in its funds management business, both in Australia and Europe, while also realising value on a number of balance sheet assets including 100 Waymouth Street in Adelaide, Bligh House in Sydney and Terrace Office Park in Brisbane. “Every market cycle is different, but we are cautiously optimistic,” said Mr Weightman. “We are already starting to see the beginnings of an improvement in currency sensitive industries like tourism, education and exports in general and, dare I say it, even manufacturing. demand for property,” he added. “While cap rates are currently tight, improving future tenant demand should mean improved leasing conditions. This won’t happen overnight but we are optimistic about property markets over the medium term. "Asset selection and investment discipline remain the key to success but I am confident that the right opportunities will present themselves, and we will be ready to capitalise when they do,” he added. The FY16 operating earnings forecast has been maintained at not less than 9 cps. The FY16 distributions forecast will increase 0.1 cps to 8.2 cps. based on a closing price of $0.98 on 18 February 2016.